There's only 1 more day of school for most teachers before winter break begins! This year has gone by so fast already here. Today we're reading the History of Santa Claus in America in my US History classes before getting ready to wrap up with a Victorian-themed party tomorrow for the few students that will be in class. I sincerely hope you had a great school year so far and have a relaxing and warm winter vacation!! 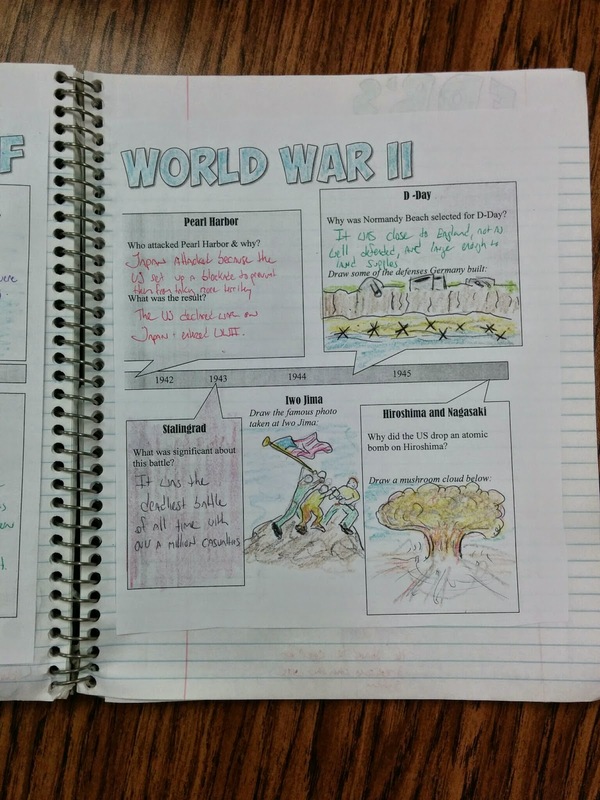 This new download features 15 Interactive Notebook pages to use in your history class to cover the Great Depression and World War II! 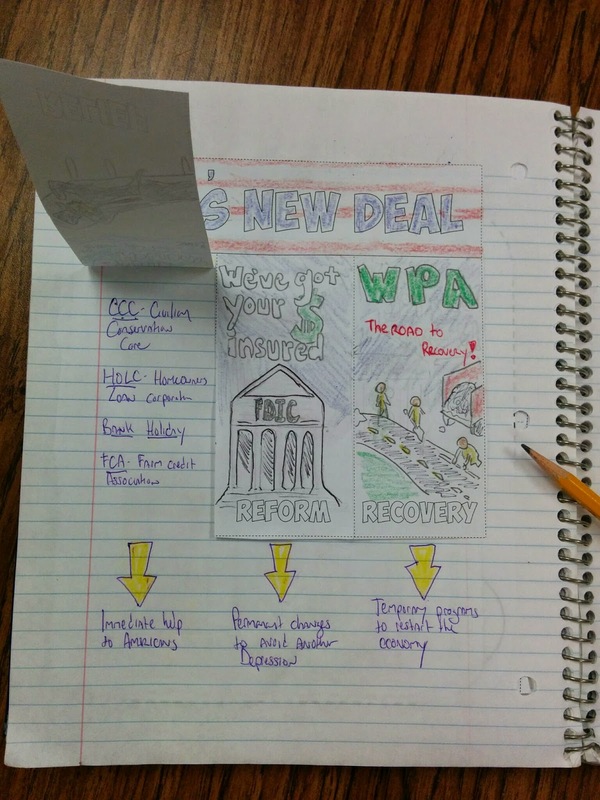 The Interactive Notebook pages include graphic organizers, creative foldables, timelines, and more! 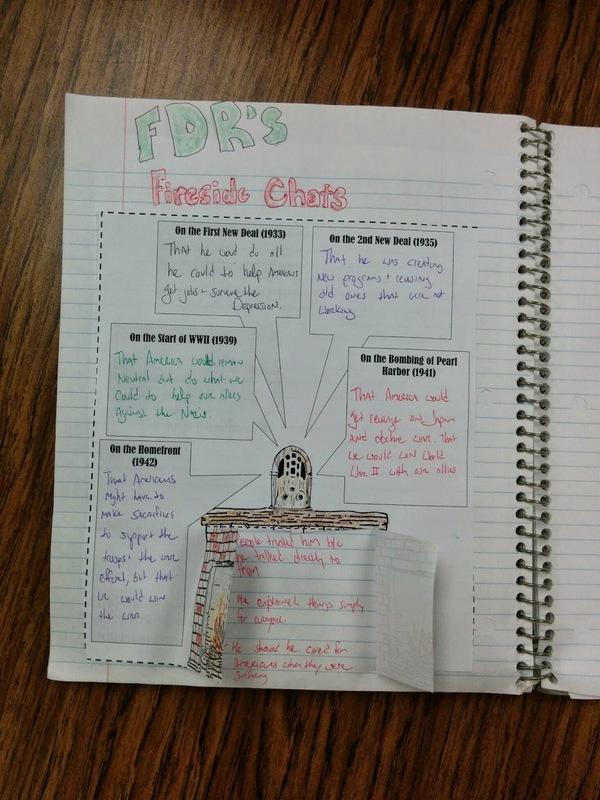 These resources are sure to help your students enjoy learning about the Great Depression and World War II and have a better understanding of important concepts, events, and people. 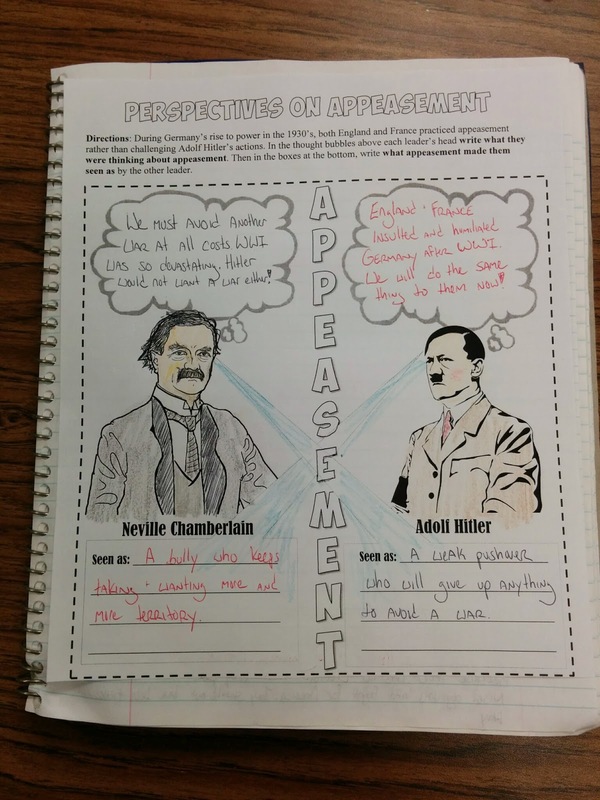 Each page is designed to engage students and get them thinking critically while also forming a personal connection to the material. 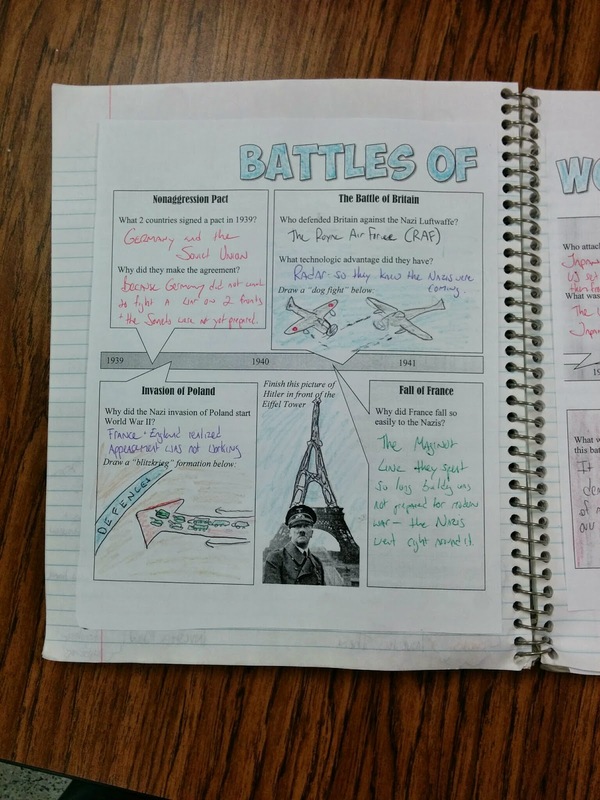 The download is also filled with pictures of completed pages so you and your students can easily see how each page should be cut, pasted, folded, or completed. You can download all of these pages and samples by clicking here. 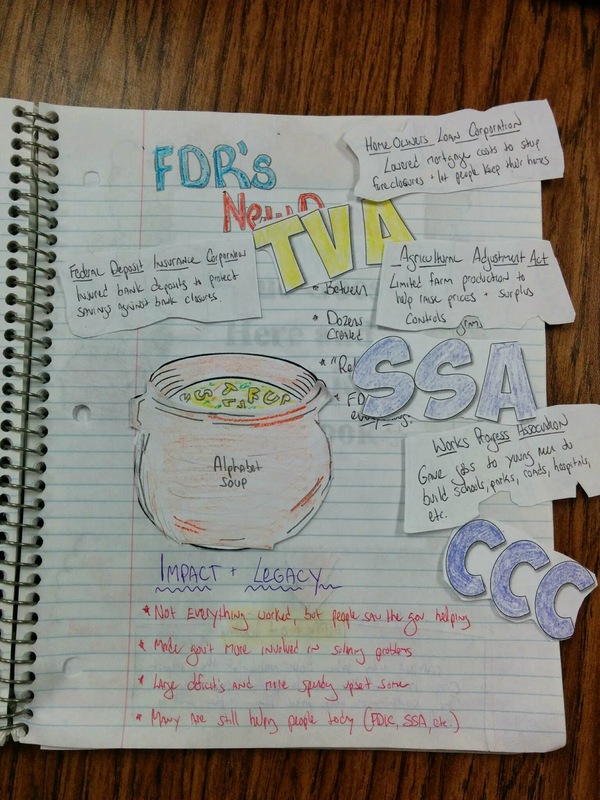 Other sets of interactive notebook pages for can be found here: Interactive Notebook pages for US History.